Save the date for the Lafayette Square Festival! Food, music, vendors, and more! 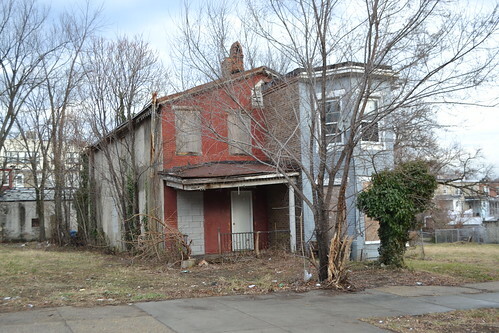 The Maryland Department of Housing & Community Development (DHCD) recently shared their plans to demolish a second round of vacant buildings under the Project CORE program. Since Project CORE (short for Creating Opportunities for Renewal and Enterprise) began last January, the program has supported the demolition around three hundred and seventy-five properties and granted around sixteen million in funding for community development projects. 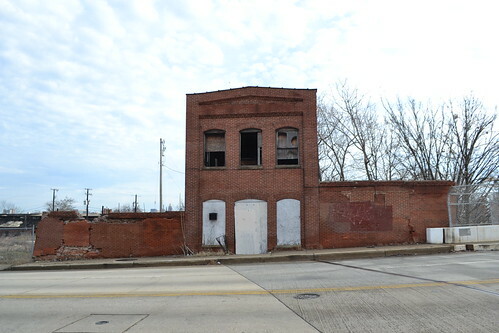 We may not find a new use for every vacant building in Baltimore but we want you to know what buildings Project CORE is tearing down and how can you share your comments. In the second year of Project CORE (known as Phase II), the state and Baltimore City are seeking to demolish one hundred and forty-nine buildings (grouped into thirty-eight “demolition clusters”). You can browse the list of demolition clusters in our open Google Sheet or with our interactive map. You can also see photographs of each demolition cluster on Flickr. You can compare this year’s properties to the list we shared last April before the first round of demolition. If you look at our sheet, you can see demolition clusters in fifteen different neighborhoods. The largest number of clusters are in West Baltimore neighborhoods including Sandtown-Winchester, Upton, and Harlem Park (all part of the Old West Baltimore Historic District). In East Baltimore, affected neighborhoods include Broadway East, East Baltimore Midway, and Johnston Square. The vacant buildings are a mix of different ages, styles, and sizes. They include the one remaining building from the Alma Manufacturing Company; small, two-story alley houses on Mosher Street; early worker cottages on Lanvale Street; a distressed shingle-sided home in Arlington; and an unusual brick house on Franklintown Road. Although DHCD administers Project CORE, Baltimore Housing selected these demolition clusters for the state. Last year, Baltimore Housing staff met with community groups and shared possible demolition clusters with residents. They also worked with the Baltimore City Department of Planning to collect feedback from residents on their priorities for demolition and community greening as part of the city’s new Green Network Plan. The state’s preservation review process (commonly known as “Section 106”) gives Baltimore residents, preservation advocates, and community groups another opportunity to share comments or concerns on the proposed demolitions before the state can award funding to demolition contractors. If you lead community organization affected by this program, we hope you can share any comments with DHCD by contacting Melissa Archer, Project Manager at melissa.archer2@maryland.gov. We also want to hear your thoughts on Project CORE and these buildings. If we can find a new use for a vacant building, we might be able to avoid a demolition. 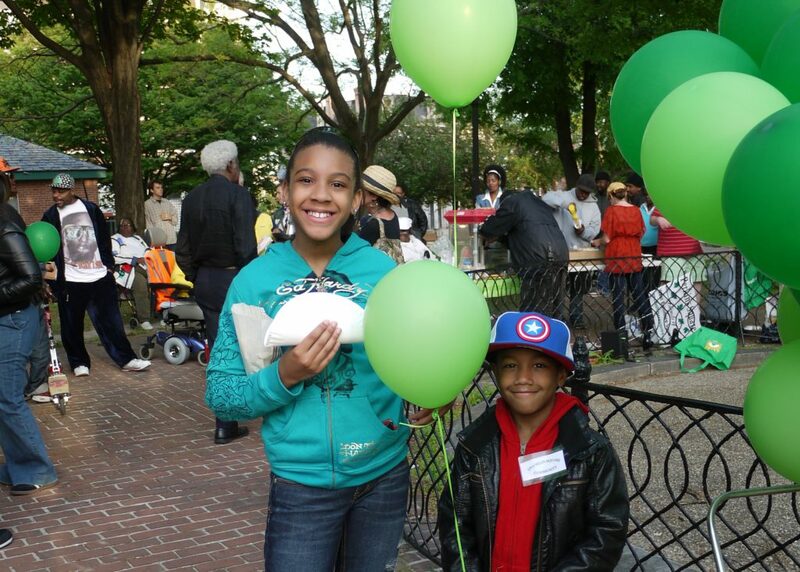 Your feedback helps us continue to push for reinvestment in historic communities. You can share comments online or contact our director Johns Hopkins at hopkins@baltimoreheritage.org or 410-332-9992. 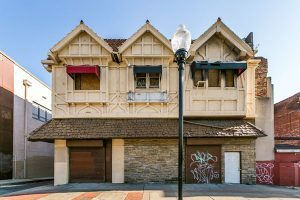 Finally, we want you to take a look at our new online resource for residents dealing with vacant buildings: Vacant Buildings 101. 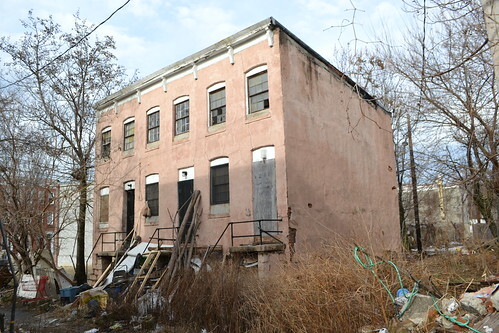 We are working with the Community Law Center to host workshops and publish an online guide to taking action on vacant buildings in your neighborhood. This program is supported by funding from Preservation Maryland and the Maryland Historical Trust through the Heritage Fund. Please take a look, share your comments, or sign up to join us at our next Vacant Buildings 101 workshop on March 25. 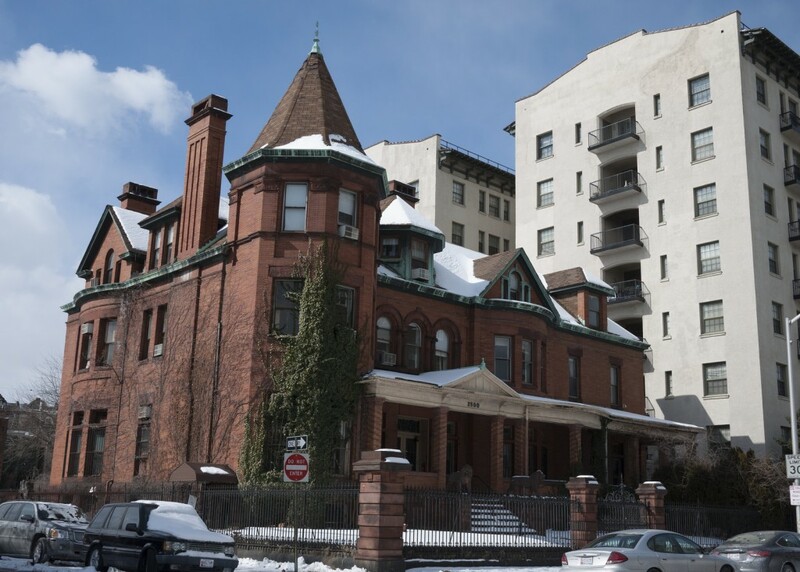 Three significant historic buildings are up for auction next month as part of the new One House at a Time Select Auction—the Sellers Mansion at Lafayette Square, the Emerson Mansion in Reservoir Hill and the former Odell’s Restaurant on North Avenue. In contrast to the rowhouses usually listed in One House at a Time’s bi-monthly property auctions, these buildings are much larger and better suited to a multifamily, mixed-use, or commercial use. Minimum bids for all three buildings are set at $10,000. 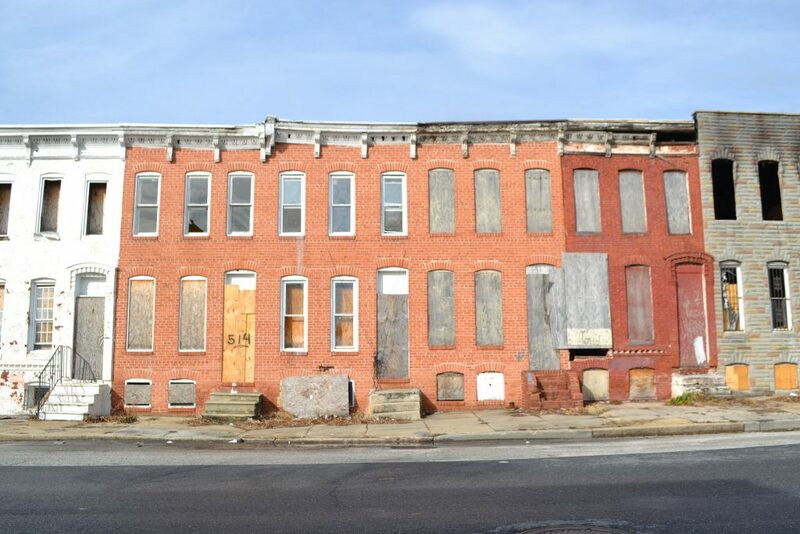 The application asks interested bidders to explain their experience with the rehabilitation of vacant multifamily, mixed use, or commercial properties, show their ability to finance the development, and be in good standing as a property owner in Baltimore. To avoid the continued neglect, buyers are also expected to abate the vacant building notice within one year after settlement. Learn more about these buildings and help us spread the word to help make sure that these properties are developed and preserved. 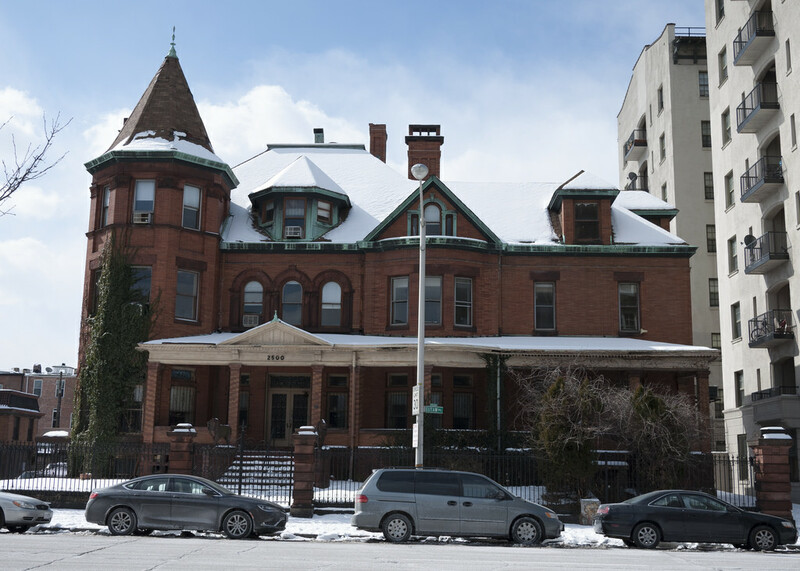 Built in 1868, the Sellers Mansion (801 North Arlington Street) is a three-story Second Empire brick house with a mansard roof that rivaled its outer suburban contemporaries in size, quality of craftsmanship, and attention to detail. Learn more from A.J. Billing & Co. Auctioneers. 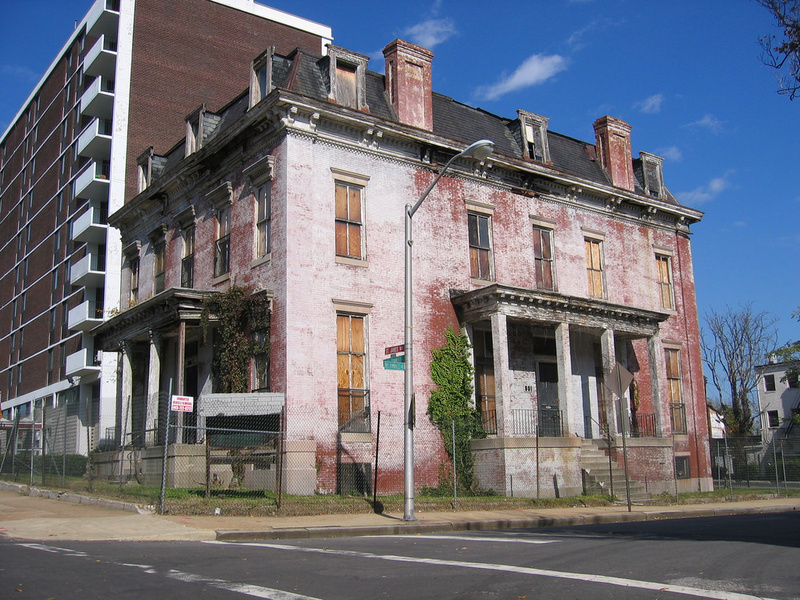 The grand Emerson Mansion was built in 1895 by Captain Isaac Edward Emerson at 2500 Eutaw Place. Over the past twenty years, the condition of the building has deteriorated from bad to worse as broken windows have left the interior open to the weather and copper architectural elements have been stolen. Courtesy A.J. Billing & Co. Auctioneers. 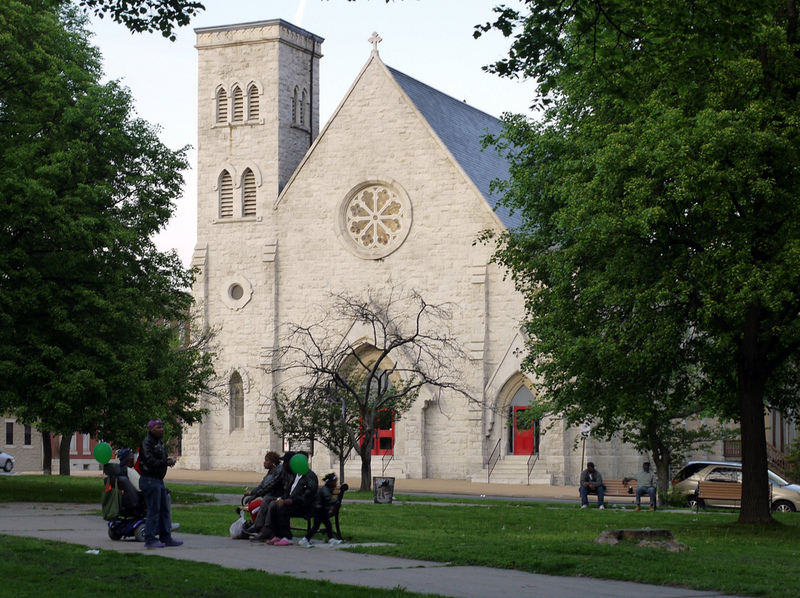 With roots as a fashionable neighborhood in the 1850s, a Civil War Union hospital, and a spiritual center for Baltimore’s African-American community in the 1930s, Lafayette Square is one of Baltimore’s most intriguing neighborhoods. Join architect David Gleason and neighborhood leader Arlene Fisher for a tour of the fine architecture and history of Lafayette Square. 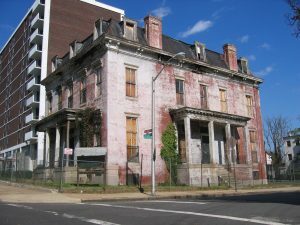 “Next Saturday’s tour of “Lafayette Square By Foot” carries an accurate secondary description: “Baltimore Thru the Ages!” This neighborhood, constructed around a public park, has ties to the Civil War, slavery, and the monied Victorians who gave way to Baltimore’s African-American upper middle class. Did I mention that jazz legend Billie Holiday once lived around the corner too? 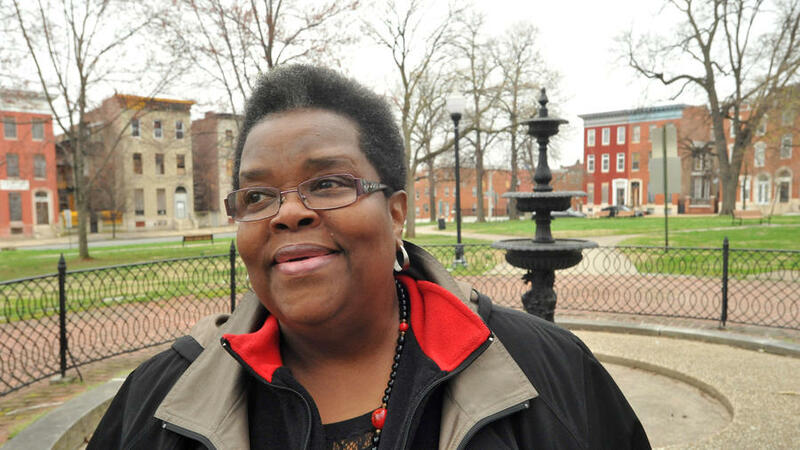 Jacques Kelly, “Lafayette Square shares its history,” The Baltimore Sun, April 11, 2015. Join us for our Lafayette Square walking tour this weekend and check out the full list of Billie Holliday Centennial Programs this month. You can also learn more about the history of Lafayette Square with the story of the Civil War Lafayette Barracks and our neighborhood history of Harlem Park.